SEVIS, the web-based system that the Department of Homeland Security (DHS) uses to maintain information on F and M students in the United States. The data provided gives us insight into some high-level trends, the most referenced being the closely watched total number of international students studying in the U.S. While this SEVIS data is useful and provides us with the most up-to-date data on student numbers, there are gaps that can make it challenging to gather insights on a more granular level. Despite these challenges, we’ve looked at what information SEVIS has provided us through the unique perspective of the Intensive English Program. The data shows that the category of ESL study or “Language Training,” as it is identified in SEVIS data, has suffered a significant and continuous decline in student numbers. Yet, an important caveat to consider is that this data only captures students studying at Intensive English Programs with an F1 visa. Our (back of the envelope) estimate is that as many as 30% or more of ESL students in the USA are, in fact, studying with tourist, business, or other visa categories. 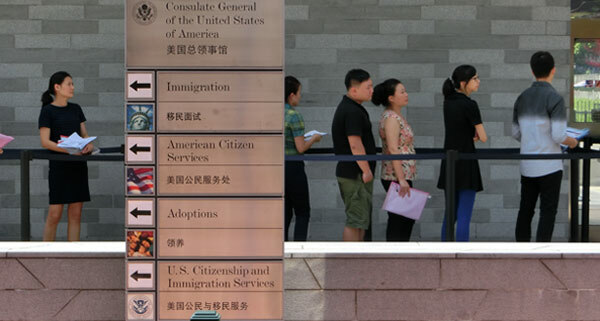 It gets further complicated when we consider that these short-term ESL students may represent disproportionately Europeans, Chileans and other nationalities with visa waiver programs, or that Japanese students may tend to obtain F1 Visas (Student Visas) even for short-term study in larger numbers (our reality). However, it is still important to consider that in most cases, the ESL student with an F1 Visa represents either the long-term student or degree-seeking student, and for this reason, is for many of us, the most important economic student opportunity. Here at Bridge Education Group, we deliver ESL instruction, so our interest in the data has been driven by that unique perspective. We thought we’d share some of our findings with you here and plan to continue to keep this data updated as SEVIS continues to release data in the future. We hope you’ll find it useful, but also ask you to feel free to provide your own perspectives on the data in our comments section. The Intensive English Program community has always been a collaborative bunch. Most of us have unique anecdotes and insights to provide, and by sharing our insights we’ll surely have a deeper understanding of the macro and micro drivers that are affecting our sector. Please also feel free to contact us and make requests for deeper analysis and new charts/perspectives you’d like to see; if the data is there we’ll do our best to crunch it and share! It has been observed over time that in previous cyclical downturns, students in language programs have suffered more pronounced and swift volatility. This appears to be the case now; however, it should be noted that while the total number of international students enrolled has only recently (July 18) shown a decline, it has been reported that this is the result of the long tail of international students in OPT programs. That, in fact, new student enrollments are declining. This most recent data seems to show this drop as students begin to complete their OPT programs. The much-reported drop in Intensive English Program enrollments appears to have begun as early as December 2015, when it reached a peak of just over 100,000 students, then plateaued. Since that time, language program enrollments have dropped 37.6% in less than three years. Our understanding is that these totals also include students enrolled in ESL Pathway Programs as of October 2016, which are tallied as a subset of the same Major Code (32.0109) in the SEVIS database for second language learning. Whether or not numbers of students enrolled in the pathway subset have also suffered a decline, and to what degree, would be helpful to know. Nonetheless, anecdotal market intelligence seems to indicate that pathway programs have not been immune to enrollment declines. Looking at language students as a whole, we can see that the proportion of students studying in Language Programs represents a declining percentage of the total international student population. Having peaked at 9.8% in February 2014, they now represent only 5.6% of all international students. Currently, based on July 2018 data, the heavy hitters in ESL enrollments are China, Brazil, Japan, Saudi Arabia, and South Korea, in that order. If you’re an IEP looking at how to spend your marketing and recruitment dollars, this may be a good place to look for opportunities; however, keep in mind that there are patterns with regard to what states specific nationalities favor. So, if you’re in Colorado, for example, you may not do so well obtaining an ROI from marketing spend in Turkey because students tend to go primarily to schools in New York,California, Massachusetts, and Illinois. What is the Proportion of Language Students Relative to Total Students for Specific Countries? Different countries send different numbers of ESL students to the U.S., in proportion to their total student numbers. The standout countries sending the highest proportion of ESL students in relation to their total student body are Brazil, Japan, Colombia, and Thailand. In some cases, this represents the fact that these students don’t typically continue on as degree-seeking students, but are in the U.S. exclusively to study English. In other cases, it represents cultural tendencies or behavior influenced by government scholarships, or even the maturity of the ELT market in the source country. All of these are factors that might lead students to study ESL here in the U.S. in advance of their degree program at a university. Most striking here is the small proportion of Chinese students with F1 visas studying ESL or in Pathway Programs in this snapshot for July 2018; however, this may also represent a summer lull in advance of the upcoming fall term. Looking at this data, one can also infer that long-term student enrollments in ESL programs come disproportionately from countries undergoing economic and political stress. This seems to fly in the face of conventional wisdom, whereby we might typically seek enrollments from students in countries experiencing economic booms and strong currencies. Of countries currently showing high incidences of long-term ESL study, Brazil, Venezuela, and Turkey are all currently experiencing difficult political and economic times. How Have Enrollments at Intensive English Programs Fluctuated with the Top 13 Countries Since April 2014? One interesting story here is the growth in the number of Brazilian students studying language, which has been on a steady growth trajectory (61%) since March of 2016. According to SEVIS data, in July of 2018 there were 7,665 Brazilian students studying language in the U.S. with an F1 visa, which is up from 4,764 students in March of 2016. Our observations are that this growth phenomenon is closely tied to Brazilian economic and political woes. Brazilians have a propensity to invest in their own professional development when unemployment is high, to better compete in tight job markets. Ten years ago, thousands of middle-class Brazilians were giving up their “American Dream” and returning to Brazil after failed attempts at legal immigration over a 20-year period beginning in the mid-1980s. Today Brazilians are once again immigrating to the U.S., with one major difference - it is the wealthy that are fleeing their country. Political and economic instability combined with increased crime rate is pushing thousands of the Brazilian elite, including TV stars, bankers, and lawyers out of the country. It would appear many are coming on F1 visas and enrolling in ESL programs as a first step toward what is likely planned to be an extended stay. As is the case with other nationalities, Brazilian students tend to concentrate in specific cities that correlate closely with large Brazilian immigrant populations, such as Boca Raton and Orlando, Florida. The upshot is that this growth in Brazilian students on language F1 visas is not always indicative of the degree-seeking academic English students we associate with Intensive English and Pathway Program enrollments. Furthermore, unless you are in Florida, California, New York, or Massachusetts, these students may not present a significant opportunity. Many of these students often enroll in ESL schools offering reduced tuition as low as $500/month as they look to eventually transition to longer-term visas available for business and investors or longer-term student enrollment at a local college. Would you like to contribute your narrative on any of the above country trends as we have done with Brazil? We’d love to share your insights. Why, for example, have ESL student numbers from Kuwait dropped 70% from a high of 2,535 students in February of 2015 to the most recent low of 742 in July of 2018? Please don’t hesitate to reach out to us with requests to slice and dice the SEVIS data from other perspectives and or provide your own analysis and narrative.